Exhibiting at trade shows is still one of the most common and powerful ways to generate leads for business-to-business (B2B) companies. Trade shows come with two challenges. The first is that they are expensive to participate in. Booth space, booth design and setup, signage and collateral, presenters and infotainers - they all cost a lot. And that's not to mention the time, attention and travel costs for sales people and marketers to make the show successful. The second inevitability is that it’s hard to predict your pay-off for attending. Measuring the impact of traditional marketing methods (like trade shows) has always been tough for marketers. One survey found that almost 50% of organizations don’t measure the return on investment (ROI) of their trade show activity. That doesn't need to be the case. With the right approach and tools, you can get a clear picture on how your participation is generating leads and contributing to revenues. Just because the conference has an exhibit hall, doesn’t mean exhibiting is the right approach for your company. If you've never attended the conference, consider registering as an attendee to get the full conference experience before making the plunge on exhibiting. Attend the show or send your top sales rep to the sessions, networking events and to walk the show floor and get a sense for whether the attendees are your kind of target customers. If your sales rep is going, give him or her some guidance on collecting business cards for lead generation, and work with them to create a post-show follow-up. Look at point #3 below to monitor traction from the event and new revenue. This is often a better bet than spending thousands (or tens of thousands) to exhibit at a show you're not sure about. Once you’ve decided to exhibit at an event, establish what goals you are trying to achieve. Are you looking to drive brand awareness for your company in general? Are you promoting a new product or service and want to generate as many leads as possible? Are you looking to reconnect with current and past customers to strengthen relationships? There are many things you can accomplish by being at a trade show. Once you define your goal, assign a number to it. And keep it simple. “We want to meet with 25 of our existing or past customers” or “We are going to generate 50 new leads from C-level executives.' Work with your colleagues in sales to establish a reasonable goal so you don't come up with something outlandish. And then don’t forget to communicate this goal to everyone participating in the event so they know what they’re working toward. Since sales cycles in B2B are usually long (12 - 18 months isn't unusual), it's almost always necessary to nurture leads before they'll convert to deals. This is where your CRM system and marketing automation is vital. Set up tags and lists for each trade show you attend to better follow and monitor the results of your participation. This will allow you to track the average show value, average lead value per show, and the overall impact it’s having on your pipeline with net new revenue generation from existing and new customers. Since B2B deals can take a long time to close, it's important to measure marketing impact over a long enough time frame. If your company has a 12 - 18 month sales cycle, it will take about that long to measure the impact of attending a particular trade show. So don't monitor your CRM and try to measure your trade show ROI in a week or two. In fact, it’s recommended that you check in at the 3 and 12-month post event point to analyze the pipeline and revenues that have come from attending a particular show. 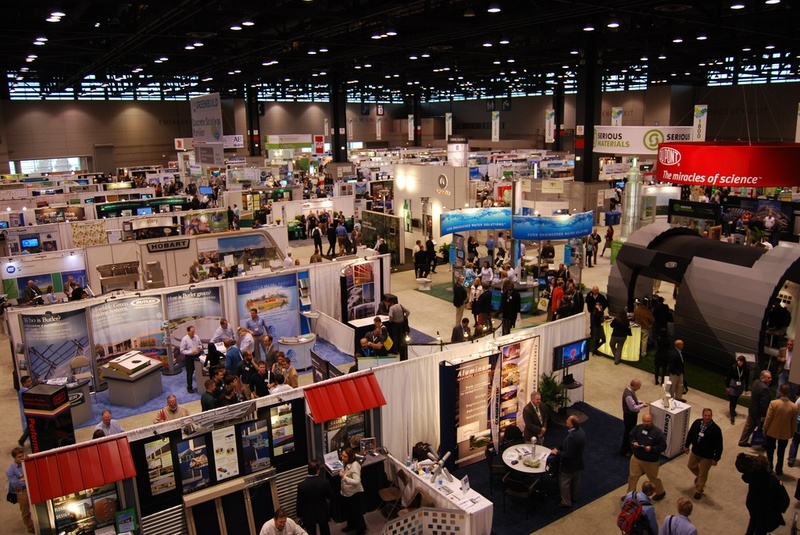 Just because you generated some revenue from a trade show doesn't necessarily mean it was worth attending. Trade shows have to generate more profits than they cost. To figure that out, you have to tally all of your expenses and calculate that against the additional income. Here's more on how to calculate marketing ROI. Like all marketing tools and tactics, understanding ROI for trade show participation is critical to ensuring that you spend your marketing budget wisely and focus your plan on high impact tactics that are sure to contribute to revenue generation. If you have questions about the value of your company’s trade show participation, get in touch with us. This post has been updated from a previous version published in Oct 2016.